With new businesses being started daily, it is very important that you develop successful business branding for your company. Whether you are a new solopreneur or a large corporation the key to attracting new customers is to make sure people are aware you exist…and that you’re great at what you do. Why Do I Need an Online Brand? It’s simple: We are more likely do business with people we know. Creating a successful online presence helps potential clients learn what you do, what you stand for, and expands awareness. Awareness = More Customers = Larger Profit! Building an online brand isn’t easy and it won’t happen overnight. Everything from your logo design, to your tagline, to your URL and social media usernames are critical to being recognized as a company a prospective customer would choose to use. That’s why, if possible, you should consult a company that has experience with brand development so you start off on the right foot and keep running successfully from there. Who Are You? – We are Rebel Marketing Group. Rebels. Imagine if you went to our Twitter page and saw a logo with our name surrounded by pretty flowers and a teddy bear. Sounds silly, right? You’d be surprised to see just how many companies have logos that aren’t suitable for their brand. Of course, if we really wanted a teddy bear, we could have dressed him in a leather vest and made the flowers with lots of thorns and intertwined in barbwire, but (luckily) that wasn’t the path we decided to choose. Your logo needs to be memorable, represent your brand correctly, and able to be used across different platforms clearly. It can be as simple as your name in a certain font, or as detailed as the rebel bear – just so long as it clicks. What’s Your Handle? – Sometimes, finding a social media name for your company isn’t as easy as you’d think. For some, you can use your name or business url, but even that is hard if it has already been taken. Twitter rarely, if ever, will transfer a twitter account…even if it hasn’t been used in years. And if your name is long, using it for a social media handle isn’t even an option. For instance, since Tribhovandas Bhimji Zaveri (try saying that 3 times fast) is 24 characters, it wouldn’t fit for a Twitter handle. Instead, they decided to opt for something shorter – an easier to spell – and went with @TBZ1864 (their acronym and year they were founded). Your social media names should be easy to remember and easy to spell. Otherwise people won’t know how to find you. Tag…You’re It! – A tagline is a phrase that lets your visitors know exactly what you’re about without having to search. This works best when the tag line states a benefit. Our tagline, “Don’t fit in..stand out” shows potential clients know that we aren’t your cookie cutter firm. We ensure our clients stand out from their competition. When thinking of a tagline, make it catchy and simple, but also have it compliment the services you offer or your values. Share and Share (for Likes) – Be sure to share your social media pages on your website, business cards, and any other opportunity you get. We live in a world where social media is prominent, so make sure people know how and where to find you on the web. Of course, you also need to make sure you don’t create a page that just sits and never gets updated, or is used to share things that have NOTHING to do with your business (we had a client who had created a Snapchat page for their business where the CEO shared videos of his cat. Seriously. And no, it was not an animal-related business…it was a fashion boutique). If the platform doesn’t fit your type of business, don’t create it. And please don’t share unnecessary cat photos. No disrespect to the cat lovers, but domestic felines really aren’t all that exciting – and they have nothing to do with fashion. Comment, Reply, and Share – Social media is all about being – you guessed it – social! So be sure you aren’t simply posting content. Check out pages related to what you do. Share their content, comment on their posts, and reply when people comment on yours. A little sociability goes a long way. 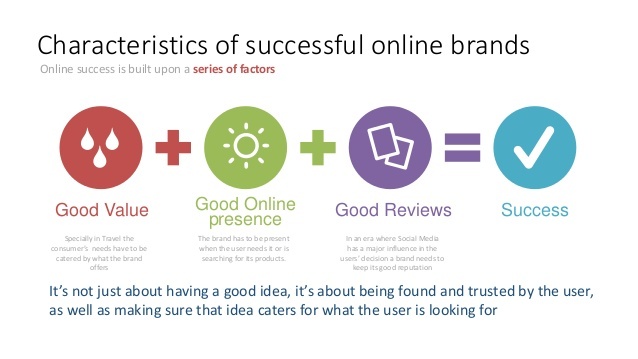 Ensuring your online brand is successful takes a lot of preparation, and they can’t just be left alone once created. If you need help improving your image on the web, or if you don’t even know where to start, contact Rebel Marketing Group today for a free consultation.